This week our staff are busy removing objects from the Wong Gallery in preparation for the start of redevelopment work in September. 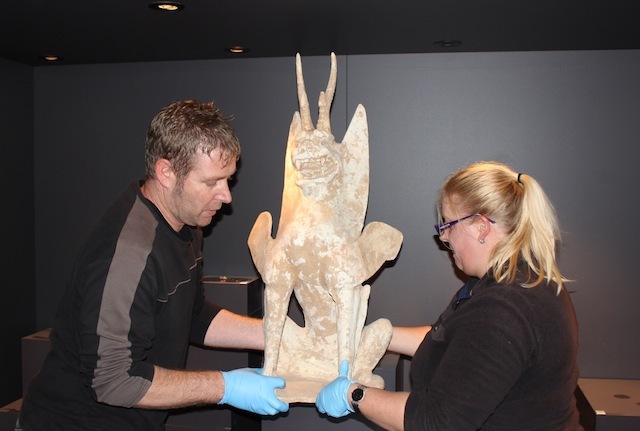 Here Matt and Philippa move Zhenmushou (tomb guardian) from the Tang dynasty. The question is how you remove a 1100-1300 year old object?